1. Promote your student to chef and bookkeeper for a day. Before you depart, introduce your distance learner to an old family recipe or pick out a seasonal Pinterest recipe to try. Make a shopping list together and set a budget for the trip. Then put your student in charge of spending for the meal. 2. Poll the planters. 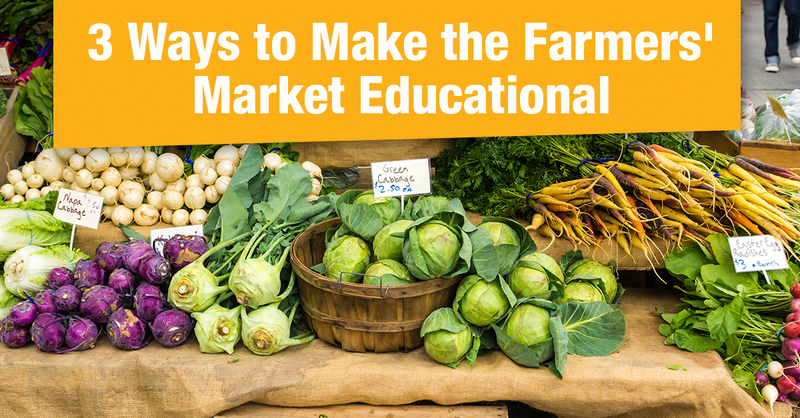 Remind your distance learner that vendors at the market grow crops for a living and make great resources for information about harvest and food preparation. Encourage your student to interview vendors to learn more about growing seasons, nutrition, preparation techniques, and any new foods he discovers. 3. Get Cookin'. After your excursion, spend some quality time together in the kitchen learning about math, nutrition, and table etiquette. Enjoy some quality bonding time with your student and experience the delight of a home cooked meal at the end of a busy day. What's your favorite farmers' market recipe?